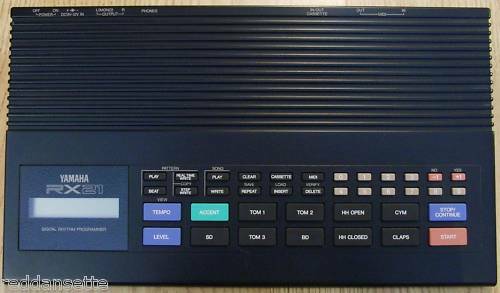 CLASSIC DRUM MACHINE IN EXCELLENT CONDITION !! HUMAN LEAGUE HERE WE COME. It has been owned for quite some time. There are a few scratches on the machine that you may be able to see from the pictures, however, it is generaly in good condition. This drum machine comes with the original owners manual and a power supply. 40 ROM Preset Patterns, all of which may be called into RAM and edited or altered to create original rhythms. There are also 4 "break" patterns of different lengths to make programming easier, as well as 56 user-programmable pattern memories. Up to 100 custom Rhythm Patterns can be generated by editing the preset Rhythm Patterns or creating new rhythms. The Patterns can be recorded in Real Time Write or in Step Write (entering one note at a time) to create perfectly timed Patterns. Displays exactly what is being programmed in the Step Write Mode as well as playing it in real time. Allows the combination of up to 999 Patterns in a single song, including intros, fills, repeats, tempo and volume changes. Up to 4 songs can be stored in internal memory, with a maximum of 512 parts and Insert, Delete and Copy functions make song editing simpler. The RX21 allows the level of each instrument to be set independently to set up any balance required. Accents can then be added to any instrument on any beat, and the level of the Accent can also be precisely controlled. 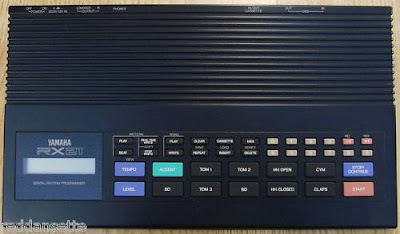 The RX21 is a MIDI Instrument, and can control or be controlled by other MIDI equipment such as sequencers, synthesizers, and tone generators. It can ne a pary of a fully automated digital music system, or can provide the synchronization signal which keeps the performance together. Once all Patterns and Songs have been programmed into memory, they can be saved on a standard cassette tape. They are stored in digital data form and can be loaded back into the RX21 at any time, allowing for the creation of a library of custom rhythms. The RX21 has a pair of stereo line-level outputs that places the drum sounds in stereo perspective, plus a stereo headphone jack that outputs the same signal as the stereo line outputs. There are also input and output jacks for the cassette interface and MIDI In/Out Connectors. 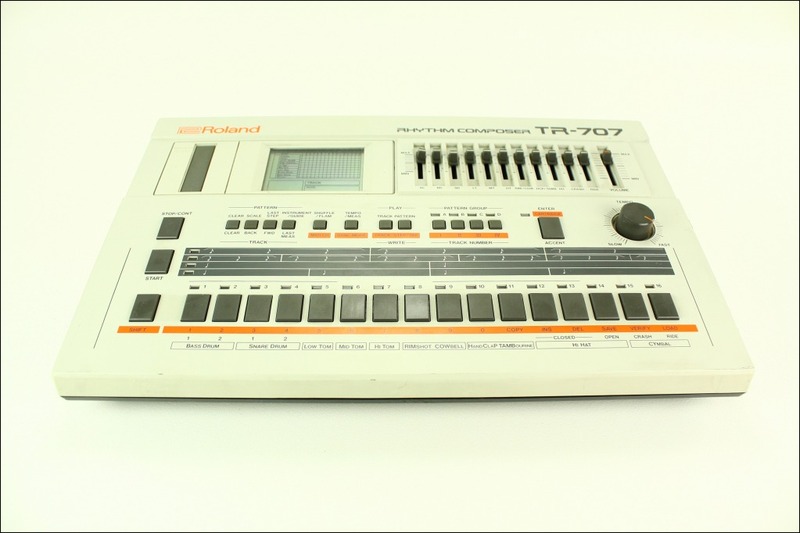 This listing is for a Roland TR-707 vintage drum machine. The unit is 100% functional and it is in nice cosmetic condition as well. Lightly used and well maintained in a smoke free home studio. 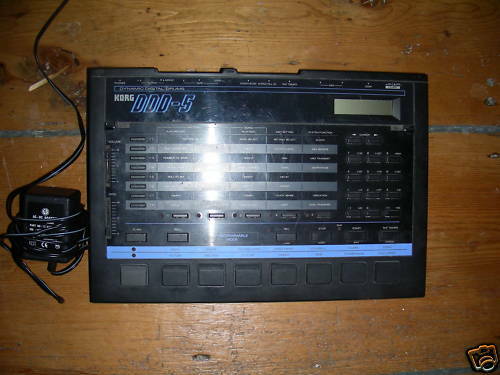 The DDD-5 is a digital programmable drum machine from Korg from the mid 80’s with 14 electronic drum sounds including kicks, snares, toms, rimshot, closed hi hats, open hi hats, ride, crash, claps, cowbell, tambourine and cabasa and a couple of slapped bass style eighties ROM sounds. There are seven assignable Dynamic Sound buttons for triggering the sounds. Programming the DDD-5 is fairly straight forward. Memory holds 100 patterns which can be linked or chained to form songs, for which there are 24 song memory locations. The drum sounds have editable parameters such as tuning and decay and for added groove in your patterns there are Roll and Flam effects. The DDD-5 is equipped with MIDI implementation making it an easy drum machine to use in any MIDI environment. If you like typical eighties drum sounds, the DDD-5 is a cheap alternative to the DDD-1 and other similar drum machines like the Roland TR-707. Seattle based Synthetic Bits has released FunkBox Drum Machine 1.0 for iPhone and iPod touch devices. The app not only brings the functionality of the vintage drum machines, but also their quirks and rust, emulating six different vintage beatboxes and brings the sound, feel, and features to your iPhone. A variety of preset beat patterns, tempo adjustments on the fly, classic drum box sounds, a live mixer, and for those who want to really get in there a classic x0x style drum programming grid. The idea for FunkBox came while Art was working on recording a retro-styled electronica album (Submodern’s 2009 release "Slowburn") where he used an assortment of old vintage drum machines from the 70’s and 80’s. 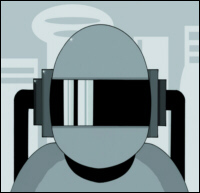 Rather than mousing around with the latest drum plugins, or triggering samples from within a modern digital audio sequencer, he sat down and recorded all the beats for the album using those original dusty, finicky, and funky decades-old beat boxes, giving him a new appreciation for their quirky interfaces, classic sounds, and limited but inspiring feature sets. 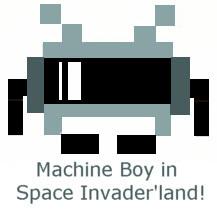 Synthetic Bits’ goal in making the FunkBox app was to create something similarly fun, funky, and easy to use. FunkBox brings everything you need to make your own dirty, funky beats on your iPhone, anywhere you go. A variety of preset beat patterns, tempo adjustments on the fly, classic drum box sounds, a live mixer, and for those who want to really get in there a classic x0x style drum programming grid. Beat heads everywhere can use the Funkbox to drop dirty beats sampled from Synthetic Bits personal collection of coveted vintage drum machines: the Roland TR-808, Roland TR-909, Roland TR-606, Roland CR-78, Maestro Rhythm King MRK-2 (the drum machine that Sly Stone nicknamed "the Funkbox"), and Korg ER-1. Yep, all the classic beatboxes that were used on all your favorite old school electro, techno, hip hop and synthpop tracks, and that are still being heavily used and namedropped to this day by artists like Beck ("Bangin’ like an 808…"), Outkast ("I know y’all wanted that 808…"), the Beastie Boys ("…nothing sounds quite like an 808! "), and others. FunkBox Drum Machine 1.0 is $1.99 USD and available worldwide exclusively through the App Store in the Music category. CLICK HERE TO BUY THE APP FROM ITUNES! 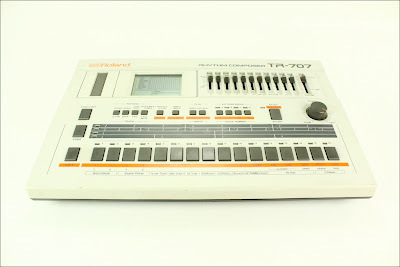 The TR808 is obviously still a sought after machine...go bid on a decent machine on ebay and watch it go thru the roof! anyways! sad as I am I love press ads! 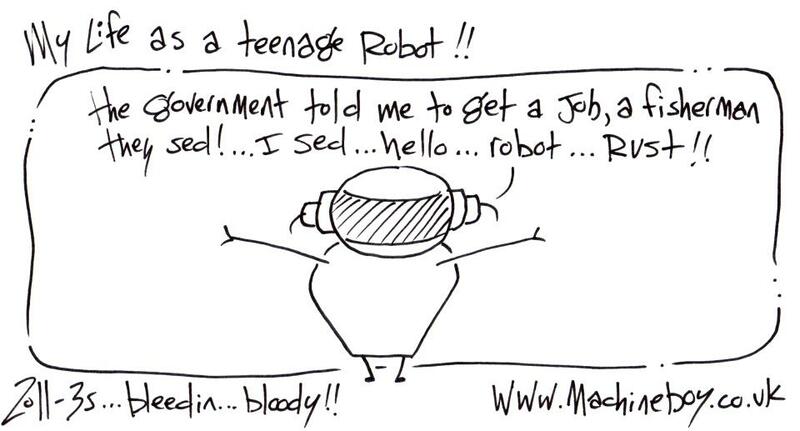 and this is totally simple and of its time ACE'A'MUNDO! 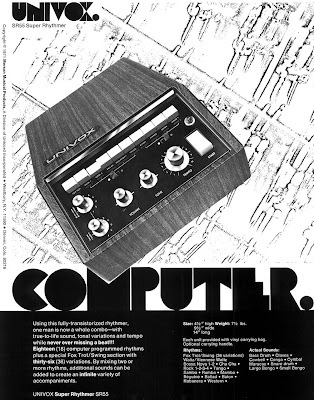 1971 Univox SR 55 catalog!